Ніса С., Доктор філософії, доцент, факультет фінансів, Інститут менеджменту ТКМ, Індія. Кав’я М.С., Студент, факультет фінансів, Інститут менеджменту ТКМ, Індія. Інститут фінансів та оподаткування – це організація, яка спеціалізується на дослідженнях, навчанні, консультуванні та наданні рекомендацій уряду Кералу та штатах Південної Індії в цілому щодо формування податкової та соціальної політики. Система фінансового менеджменту в Інституті фінансів та оподаткування спрямована не тільки на визначення результатів його діяльності, але й на забезпечення прозорості діяльності інституту. Ефективна система фінансової звітності в будь-якій організації вимагає добре розробленої безвідмовної інформаційної системи разом із підготовленим персоналом та надійною бухгалтерською службою. Дослідження присвячено аналізу ефективності практик фінансового менеджменту, що застосовуються в Інституті фінансів та оподаткування, і на його основі ‒ надання відповідних пропозицій щодо їх покращення. Дослідження є описовим та аналітичним. Дані, використані для аналізу – це перевірена фінансова звітність Інституту фінансів та оподаткування за 2012-2015 та 2015-2016 фінансові роки, зокрема, щодо аналізу співвідношень між досліджуваними параметрами, тенденцій їх зміни, графіку змін у оборотному капіталі цього Інституту, порівняльного аналізу балансових рахунків та аналізу загального розміру балансу. Основними результатами проведеного прикладного дослідження стало узагальнене розуміння системи управління фінансами в цьому Інституті, аналіз динаміки ліквідності протягом останніх трьох років, оцінка ефективності управління грошовими коштами, фінансового планування та управлінського контролю в Інституті, аналіз ефективності розподілу управлінських та контрольних функцій, оцінка відповідності стандартам бухгалтерського обліку та фінансової звітності, аналіз практик фінансового менеджменту та системи аудиту, що застосовуються в Інституті. За результатами дослідження розроблено пропозиції щодо удосконалення підходу до управління оборотним капіталом, підтримання сталого рівня співвідношення капіталовкладення / формування активів, розвитку системи управління резервами, запровадження системи пенсійних, грошових та інших соціальних виплат персоналу, запровадження систем електронного контролю адміністративних та бухгалтерських функцій Інституту. Ключові слова: система управління фінансами, аналіз співвідношення, фінансова звітність, аналіз балансу. Mohan, K. V. (2014). Accounting Education and Research in India: Emerging Dimensions. All India Accounting Conference and International Seminar on Accounting Education and Research, 1. Visakhapatnam: Department of Commerce and Management Studies, Andhra University. Dubey, V., Dubey, M., &Verma, S. (2014). Corporate Governance Issues and Challenges in India. All India Accounting Conference and International Seminar on Accounting Education and Research, 56. Visakhapatnam: Department of Commerce and Management Studies, Andhra University. Hunziker, S. (2013). The disclosure of market risk information under IFRS 7 Evidence from Swiss listed non-financial companies. Lucerne University of Applied Science and Arts. MehrdadGhanbari et al. (2013). Social and Environmental Accounting in Iran, Journal of Basic and Applied Scientific Research, Text Road Publication, ISSN 2090-4304. 3(3), 912-917. Shafii, Z., &Zurina, N. (2013). Adoption of International Financial Reporting Standards and International Accounting Standards in Islamic Financial Institutions from the Practitioners‘ Viewpoint. Middle-East Journal of Scientific Research, 13 (Research in Contemporary Islamic Finance and Wealth Management), 42-49. Zare, Iman, et al.(2013). Role of accounting information systems on relevance of accounting information.‖ Life Science Journal 10.3s, 582-592. Steinbart, Paul John, et al. (2013). Information security professionals’ perceptions about the relationship between the information security and internal audit functions. Journal of Information Systems 27.2 ,65-86. Adewale and Sarahimpact of corporate social responsibility on the profitability of listed retailers: Indication from the Johannesburg Security Exchange (JSE), African Journal of Business Management, 6(4), 1694-1701, 1 February. Nayak, K. M. (2012). A Study on Investor’s Perceptions towards Corporate Reporting Practices in India. Advances in Management, 5(7), 62-65. Dr.Kishori J. Bhagat. (2012). International Indexed & Referred Research Journal, ISSN -2250- 2556, 1(1). Milburn, J. A. (2012). Toward a Measurement Framework for Financial Reporting by Profit-Oriented Entities. Canada: The Canadian Institute of Chartered Accountants. International Public Sector Accounting Standards Board. (2012). Conceptual Framework for General Purpose Financial Reporting by Public Sector Entities: Presentation in General Purpose Financial Reports. International Federation of Accountants, Canada. Anuj Sharma, Prabin Kumar Panigrahi. (2012). A Review of Financial Accounting Fraud Detection based on Data Mining Techniques. International Journal of Computer Applications, 39, 37-47. Jose Thejo. (2012). Accounting Policies and Practices of Local Self Government in Kerala, PhD theses, MG University. Pantage. H. S. (2012). Prospects and Challenges of International Financial Reporting Standards in Indian Context, Indian Streams Research Journal, 2(2). Jyoti H. Pohane. (2012). International Indexed & Referred Research Journal, ISSN- 2250-2556, 1(1). Ahmed, A. S., Neal, M. J., & Wang, D. (2012). Does mandatory adoption of IFRS improve accounting quality, preliminary evidence? Contemporary Accounting Research, 30(4), 1344-1372. Soudani, SiamakNejadhosseini. (2012). The Usefulness of an Accounting Information System for Effective Organizational Performance. International Journal of Economics & Finance, 4(5), 136-145. Ray, D. S. (2012). Indian GAAP and its Convergence to IFRS: Empirical Evidence from India, Advances in Applied Economics and Finance, 2(1), 257-276. Kabir, M. H. (2011). Positive Accounting Theory and Science. Journal of Centrum Cathedra, 136-149. Vincent, T. P., & Sandra, J. P. (2011). User perspectives on financial instrument risk disclosures under International Financial Reporting Standards (IFRS), 1. New York: Chartered Financial Analyst Institute. Donna, L. S. (2011): Criteria for an Independent Accounting Standard Setter. How Does the IASB Rate? Washington, DC: Council of Institutional Investors. Beke, J. (2011). How can International Accounting Standards support Business Management? International Journal of Management and Business Research, 1(1), 25-34. Sudhish G. (2011). An Evaluation on the Implementation of Peoples Plan in Kerala, PhD thesis, Kerala University. Salzman, B. J. (2011). U.S. G.A.A.P. Convergence to IFRS and the Risk Implications Involved in Convergence, C.M.C. Senior, Thesis, 246. Financial Accounting Standards Committee. (2010). A Research-Based Perspective on the SEC‘s Proposed Rule – Roadmap for the Potential Use of Financial Statements Prepared in Accordance with International Financial Reporting Standards (IFRS) by U.S. Issuers. American Accounting Association. American Accounting Association. Pajunen, K. (2010). 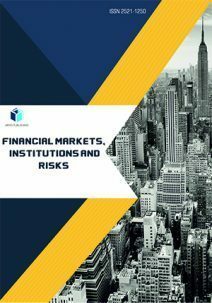 The International Financial Reporting Standards from the Perspective of the Financial Accounting Thought – Three Essays. In U.S. Finland, Dissertations in Social Sciences and Business Studies. Publications of the University of Eastern Finland. Deepesh, T. (2010). Corporate disclosure practices: A comparative study between India and America. Pranjana, 13(1), 72-87. Moqbel, M., &Bakay, A. (2010). Are US Academics and Professionals Ready for IFRS? Working paper. Chalmers, Keryn, Farshid Navissi, and Wen Qu. (2010). Value relevance of accounting information in China pre-and post-2001 accounting reforms. Managerial auditing Journal, 25(8), 792-813. Molanazari, M., and E. Abdolkarimi. (2010). The effects of task uncertainty, decentralization and accounting information systems characteristics on the accounting information systems performance in Tehran Stock Exchange: Three way interaction model. Information and Financial Engineering (ICIFE), 2nd IEEE International Conference on. IEEE, 728 – 733. Sai Venkateshwaran. (2010).The Road to IFRS in India. S.V. Siregar and Y.Bachtiar. (2010). Corporate social reporting: empirical evidence from Indonesia Stock Exchange, International Journal of Islamic and Middle Eastern Finance and Management, Emerald group publishing ltd, 3(3), 241-252. Hail, L., Leuz, C., Winsock, P.D. (2009). Global Accounting Convergence and the Political Adaption of IFRS by the U.S. (Part II): Political factors and future Scenarios for U.S. Accounting Standards, Accounting Horizons, 24(4), 567-588. Armstrong, S, Christopher, Barth, E, Mary, Jagolinzer, D, Alan, Riel, J, Edward. (2010). Market Reaction to the adoption of IFRS in Europe, The Accounting Review, 85(1), 31-61. Prasad K Vera and Dr. Chary T Satyanarayana. (2010). Accrual accounting in Government: An Analytical View, The Management Accountant, 45(2), 116-122. Harsharan Kaur. (2010). Urban Local Government and its Status under the Constitution of India: A Study of Municipal Corporation of Patiala, PhD, Patiala University,. Alp, Ali, Ustundag, Salim. (2009). Financial reporting transformation: the experience of Turkey, Critical Perspective on Accounting, 20(5), 680. Elie Menasha. (2010). Corporate social responsibility an exploratory study of the quality and extent of social disclosures by Lebanese commercial banks, Journal of Applied Accounting Research, Emerald group publishing ltd, 11(1). Yu, G. (2010). Accounting Standards and International Portfolio Holdings: Analysis of Cross-Border Holdings Following Mandatory Adoption of IFRS, Doctoral dissertation, University of Michigan. Mukhopadhyay Atanusasan. (2009). Accrual Accounting in Government- Its Practical Sides, The Chartered Accountant, 57(11), 1890-1898. Srinivas G. (2009). India‘s Journey towards Accrual Accounting in Government: The Chartered Accountant, 57(11), 1884-1889. Arnaboldi Michele and Lapsley Irvine. (2009). On the Implementation of Accrual Accounting: A Study of Conflict and Ambiguity, European Accounting Review, 18(4), 809-836. Pina V, Torres L, Yetano A (2009). Accrual; Accounting in European Union Local Government: One Method, Several Approaches. European Accounting Review, 18(4), 765-807. Anaboldi M, Lesley. (2009). On the Implementation of Accrual Accounting: A Study of Conflict and Ambiguity European Accounting Review, 18(4), 809-836. Rajkumar M, Capacity Building and Accounting in Local Bodies, paper presented in the regional seminar of Indian Accounting Association, Accounting for Government-Policies and Practices held at Thiruvananthapuram. Gosh R N, Principal Director (Local Bodies) in the office of the Comptroller and Auditor General of India, Accountability of Local Governments CAG‘s Initiatives and the Challenges Ahead. Teresa, P. G., & Jason, C. P. (2009). Reading and understanding academic research in accounting: A guide for students. Global Perspectives on Accounting Education, 6, 25-45. Brice, S., Graze, C., &Gânfălean, I. (2009). International Financial Reporting Standard (IFRS) will support Management Accounting System for Small and Medium Enterprise (SME)”. Annals Universitatis Apulensis Series Oeconomica, 11(1), 309-317. Gruszczyński, M. (2009). Quantitative methods in accounting research. Warsaw School of Economics, Department of Applied Econometrics, Poland. Paananen, Mari, Lin, Henghsiu. (2009). The Development of Accounting Quality of IAS and IFRS over Time: The Case of Germany, Journal of International Accounting Research, 8(1), 31-55. Robert Day. (2009). CSR reporting and the UK Financial services sector‖, Journal of Applied Accounting Research, Emerald group publishing ltd, 10(3), 159-175. Nielsen, Kim (2008). On the Verge of an Accounting Revolution: How IFRS is Affecting Accounting Education, Journal of Accountancy. Nittai, K., Bergman, &Sugata, R. (2008). Investor sentiment and Corporate Disclosure. Journal of Accounting Research, 46(5), 1057-1083. Das, Summon, and Shilpi Das. (2008). Accounting Information System of the Financial Institutions in Bangladesh: An Evaluation of the Bangladesh Accountant, October-December. Ray Sanjukta. (2008). Accounting and Financial Reporting: Chronic Problems of Small and Medium Towns of India, Urban India, 28(1-2), 105-121. Molland A, Cliff R, (2008). Has the Management of Infrastructure assets Improved with the Use of the Accrual Method in Local Self Government, Asian Review of Accounting, 16(2), 97-108. Sajady, Hussein, Mohsen Dastgir, and H. Hashem Nejad. (2012). Evaluation of the effectiveness of accounting information systems. International Journal of Information Science and Management (IJISM), 6(2), 49-59. Evans & Roberto Hboxma. (2008). Economics and IFRS. Retrieved on October 25, 2015. (2005)61 http://www.oppapers.com/essays/Economics-ifrs/177415. Barth, M., Landsman, W., & Lang, M. (2008). International accounting standards and accounting quality. Journal of Accounting Research, 46(3), 467-98. Gupta Kumar Tarun. (2007). Process for Conversion and Issues during Implementation of Accrual Basis of Accounting in ULBs The Chartered Accountant, 56(6), 912-920. Van Wick, H. A. (2007). Is the transformation of public sector financial reporting in South Africa‘s provincial governments on track Meditari Accountancy Research, 15(2), 65-75. Lopez, M., Gracia, A., & Rodriguez, L. (2007). Sustainable development and corporate performance. A study based on the Dow Jones Sustainability Index, Journal of Business Ethics, 75, 285-300. Das Prasad Deba – Strengthening Urban Local Bodies through Municipal Accounting Reforms. (2006). Urban India, 26(2), 117-131. Stewart, J., & Alison, D. H. (2006). Australia’s Switch to International Financial Reporting Standards: A Perspective from Account Preparers. Accounting and Finance, 46(4), 629-652. Tarca, A. (2005). International Convergence of Accounting Standards: an Investigation of the use of IAS – options not acceptable under US GAAP, International Journal of Business studies, 13(1), 67-86. Evans, L., & Roberto, D. P. (2005). Comment on the IASB Discussion Paper Preliminary Views on Accounting Standards for Small and Medium-sized Entities‘. European Accounting Association‘s Financial Reporting Standards Committee. Microsoft Corporation. (2005). International Financial Reporting Standards, IFRS (IAS), Adoption of IAS in the EU as of January 2005 and Microsoft dynamics GP. White Paper. Wong, &Wog, N. (2005). The impact of not amortizing intangible assets on valuation multiples. Pacific Accounting Review, 17(1), 79-93. A.S.Rahman, S.Lawrence. (2004). Social and environmental reporting at the VRA: Institutionalized legitimacy or legitimation crisis, Critical Perspectives on Accounting 15, Elsevier, 35-56. Benito Bernardino and Brusca Isabel. (2004). University of Murcia, Spain; University of Zaragoza, Spain, International Classification of Local Government Accounting Systems, Journal of Comparative Policy Analysis, 6(1), 57-80. Wendy, B. (2004). The link between Earnings timeliness, earnings conservatism and board composition: evidence from the UK. Corporate Governance, 12(1), 47-59. Nelson, M. W., Elliott, J. A., & Tarpley, L. (2003). How are earnings managed? Examples 86, Journal of Business and Management, 20(1), 2014 from auditors. Accounting Horizons (Supplement), 17-35. Jorge Faustino Margarida Susana. (2003).Local Government Accounting in Portugal in Comparative- International Perspective PhD thesis, University of Birmingham. Al-Dhowaihy Othman Mansur. (2003). Management Accounting Practices of Saudi Arabian Municipalities PhD thesis Cardiff Department of Accounting and Finance Cardiff Business School. Bahgat, A. (2002). International Accounting Standards-IAS 39 Accounting for Financial Instruments: Implementation Issues and Decision-Making Dilemma. African Development Bank, Finance. African Development Bank. Mc Donald, D. and Puxty, A.G. (1979). An inducement contribution approach to corporate financial reporting, Accounting, Organizations & Society, 53-65.